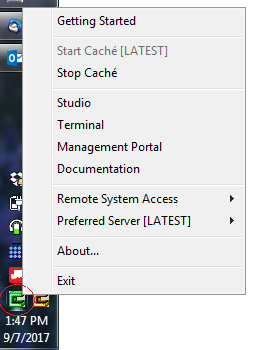 In order for the change to take affect, you need to exit the cube and then start it again from the Start menu (note - obviously this only works on Windows as the Cube doesn't run on other platforms). I have attached a zip file of icons I have collected over the years. Feel free to play with them - as I often have a half-dozen instances installed of varying versions I have found this to be very helpful in telling them apart. I am a big fan of doing this. It helps find the correct instance fast and helps prevent spending time debugging the wrong instance on accident! Thanks for keeping this. I lost my collection. Ben, how about raising a request to get this into the product documentation? Done - I raised enhancement request #148598. We'll see what gets decided on this.